Stormtrooper discipline falls a bit after the death of Palpatine and Vader. 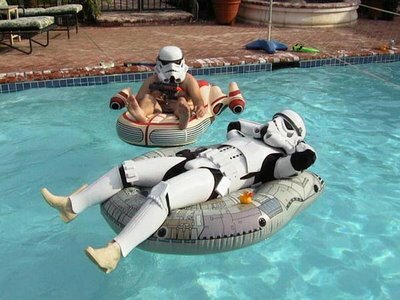 The Dark Side's more leisurely moments. On Nubia 7 there is one "and only one" sunblock: Imperial sunblock - Better than sunblock #97. Tan Safely.